There’s a great blog post today on Preservation Nation on the efforts to preserve the “Pioneer Mother’s Memorial Cabin,” a historic remnant of the Oregon Trail that is in danger of literally being washed into the Willamette. This piece of history is in imminent danger of falling into the Willamette river and being lost forever. Arciform is working with the Robert Newell House Museum to create an extensive project plan and arrange for the cabin’s deconstruction and reconstruction of the structure in a safer location. The cabin was dedicated in 1931 and sits on a piece of land originally claimed by Robert Newell, the first man brave (or crazy) enough to bring a wagon overland into the Willamette Valley and a pioneer of the Oregon Trail in the 1840s. Today, the site serves as an educational experience for thousands of school children each year to learn about the Oregon Trail, Oregon government, and other elements of the state’s history. Read more here. 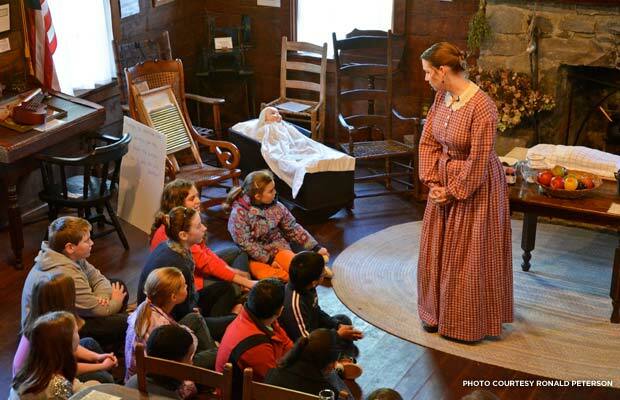 As a teaching tool, a historic structure like this can literally “ground” kids in their native soil, illuminating the hardships and opportunities that brought settlers to the state and the way those challenges continue to impact how the state functions today. To save the building, the Robert Newell House Museum will need to deconstruct it log by log in order to extricate it from the property without disturbing the soil and trees of the protected park land it sits upon. The “un-building” process should itself provide an extraordinary opportunity to learn and teach about the historic building techniques that helped form the architectural history of Oregon. 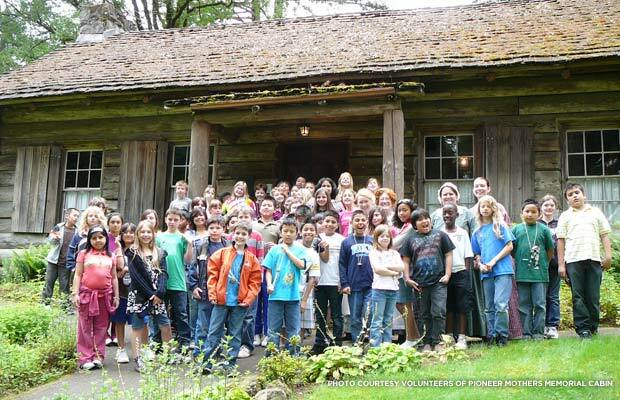 Read all about the Memorial Cabin (and how it impacts the lives of Oregon’s kids) here. We are excited to participate in such an important preservation project. You can help! Contribute to the costs of saving the Pioneer Mothers Memorial Cabin here. Photos used in this post were by Ronald Peterson.